Snow, snow everywhere, with nary a sprig of green to be found. What to do? We were feeling buried in a snow cave and wanted some diversion. 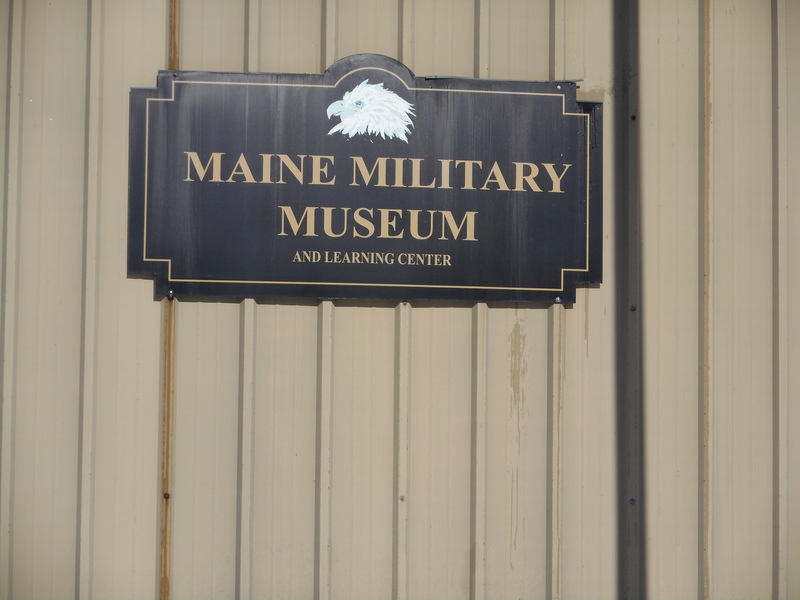 On a recent afternoon we decided to visit the Maine Military Museum on Peary Terrace in South Portland. 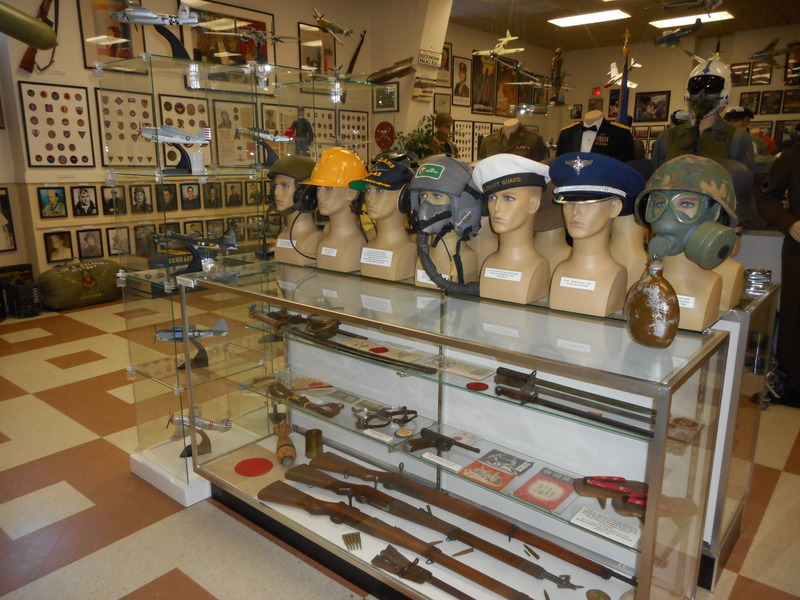 Tucked onto a small plot of land in a residential area of South Portland is this gem of a museum. 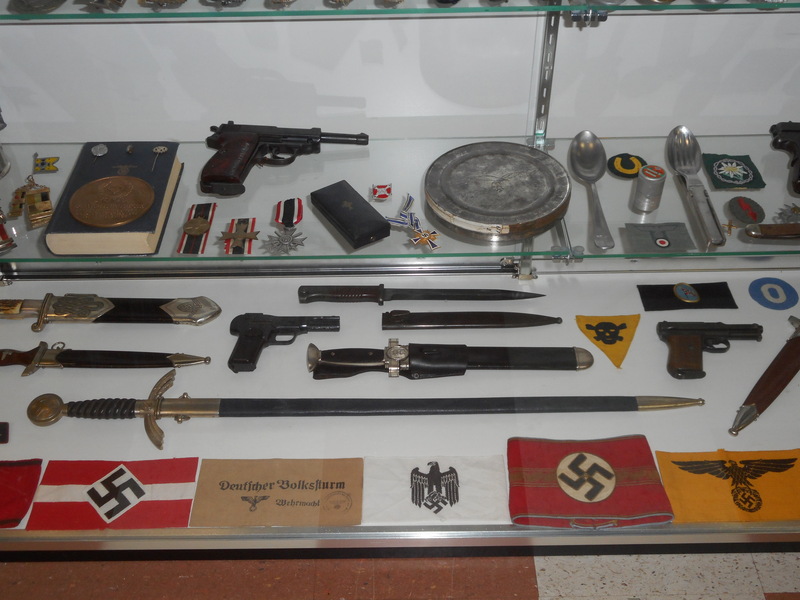 every single item in the museum and can relate the history of each. That is where this museum really shines. 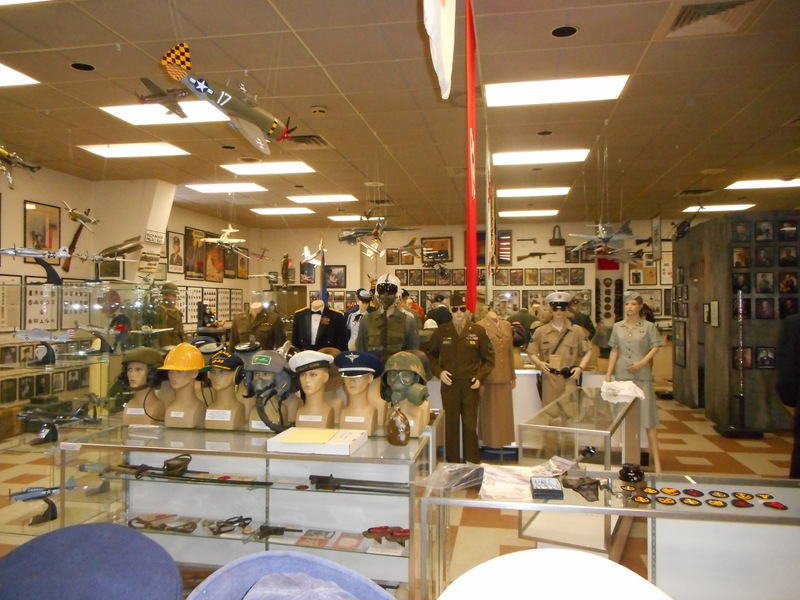 He will tell you about the person each uniform belonged to and how and why it has reached his care. And care he does. Every artifact is clean, polished and carefully displayed. The stories make these artifacts come alive and speak to you. There is the WWI uniform with mortar holes; Lee will tell you of the recovery of that soldier who was from Maine. There is the canon ball from the bombardment of Portland (then called Falmouth) during the Revolutionary War; that cannonball was found in the timbers of a house undergoing renovation. There are the pictures of a woman and children that were found in the uniform of an unknown Union soldier. The photos were publicized and within six months,the soldier was identified as one from Maine. There is the metal plaque, No. 44 of 1000, made from metal salvaged from the Battleship Maine sunk in the Spanish-American War. 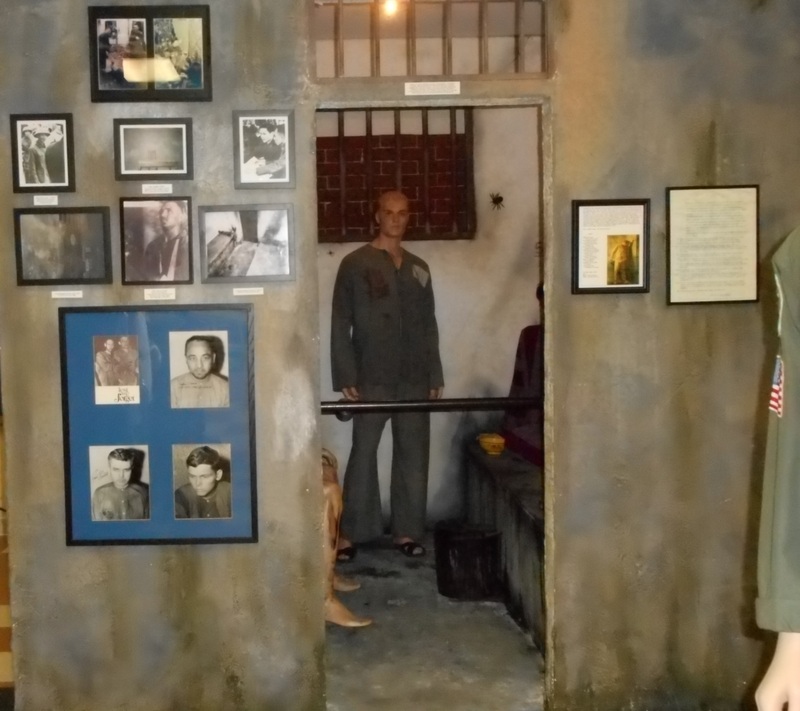 Perhaps the most poignant and haunting display is the exact-in-size and every other aspect – replica of a prisoner-of-war cell from the Vietnam War. Twenty former POW’s have been here and have seen the cell. Mr. Humiston will tell you their stories and how they reacted to seeing a cell again. Those stories are sober and mordant. As you enter the museum, there are over 450 metal plates, fastened around the perimeter of the attached banquet hall. These commemorative plates are engraved with the names of military personnel from the Spanish American War to the present. 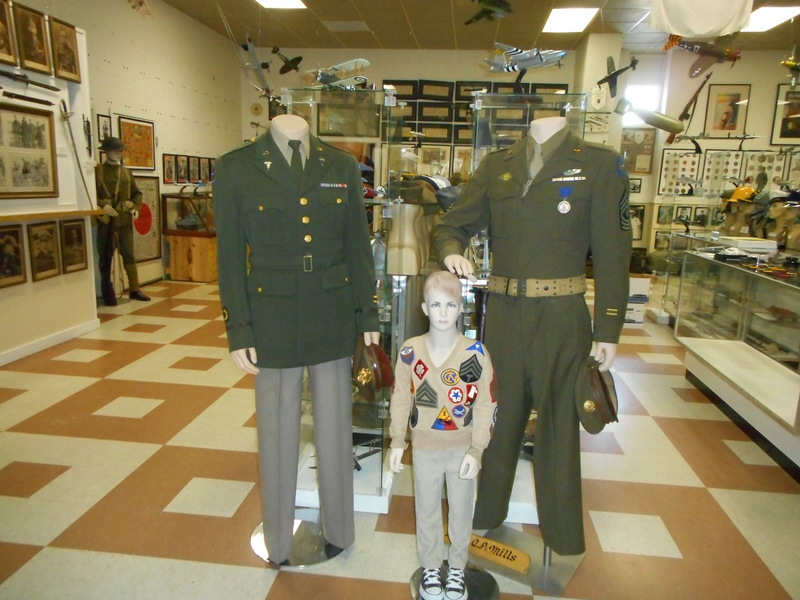 It costs $50.00 to have one added; visitors to the museum frequently purchase one for a current or deceased family member of the military. Lee himself is descended from generations of military members and each has a plaque. Mr. Humiston proudly explains that every item in the museum is authentic, with the exception of two Revolutionary War uniforms. Could there be a more gratifying way to spend a frigid winter afternoon than a visit to this unique museum? There is no charge, but donations are welcome. During the winter months, the museum is officially open on Saturdays and Sundays, but Mr. Humiston will meet you there at other times by appointment. Located at 50 Peary Terrace, (off Broadway near Cash Corner) South Portland 767-8227. 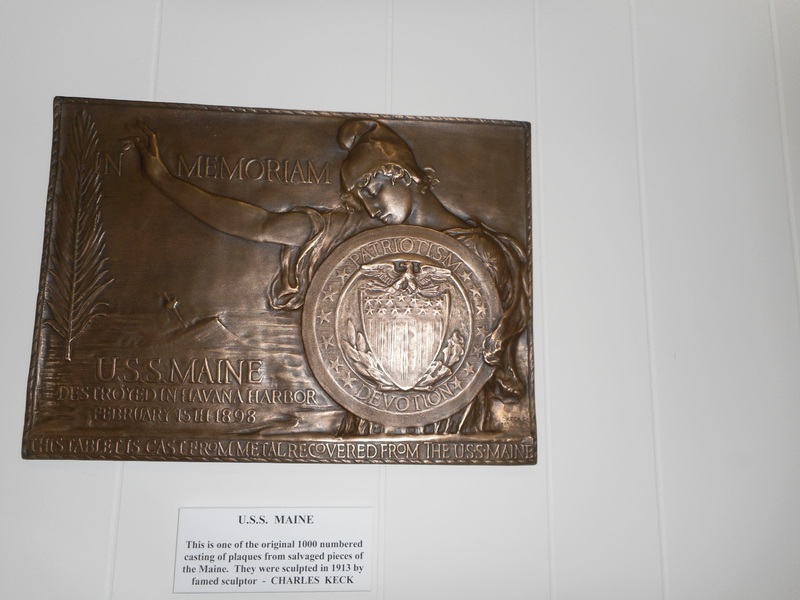 This entry was posted in Historical, Maine, Museums and tagged Battleship Maine, Lee Humiston, Maine Military Museum, Military, Museum, Peary Terrace, POW's, Soldiers, South Portland, Spanish American War, Vietnam POW's, Vietnam War, War Artifacts, World War I, World War II. Bookmark the permalink.